Whether in the islands of the Cyclades or Dodecanese around Kos and Rhodes, this beautiful Dufour 560 will help you to discover the wonders of Greece and part of the Turkish coast. 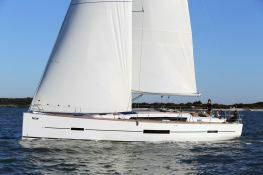 Dufour Yachts's Dufour 560 sailing yacht hosts up to 6 passengers and its skipper comfortably. 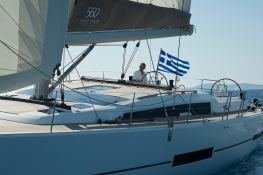 Sailing in Cyclades and Dodecanese, she is fully equipped with air conditioning, equipped galley, generator, watermaker and also fishing equipment and CD for leisure. 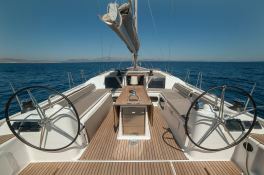 This skippered sailing yacht is available for yacht charter with a base price of 7 500 € (approximatly 8 458 $).